Trey teased Stairway to Heaven in YEM. Mike's Song contained Heartbreaker teases from Mike. 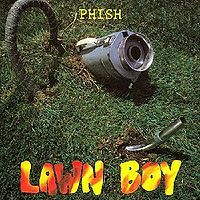 I stumbled upon a SBD recording of this show recently and it didn't look like anything earth-shaking, besides being from an earlier Phish era than I usually get into, but I decided to give it a shot anyway - and I have to say that this is some pretty damn good stuff. The recording kicks off with Foam, which is from the soundcheck, but is nevertheless a fully-formed and satisfying rendition. The Reba which follows Sweet Adeline at the top of the first set is a lot more laid-back and mellow on the whole than most later versions that I've heard - but despite being a little out of the ordinary, it's still a great version. The Ya Mar and You Enjoy Myself which follow are also very good. It's a shame that both The Divided Sky AND David Bowie are missing from the second set on the recording. 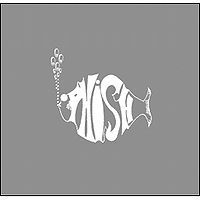 Two of my favorite Phish compositions, so their absence leaves the second set feeling a bit empty. Nonetheless, what is hear is extremely enjoyable and well-played, to my ears at least. 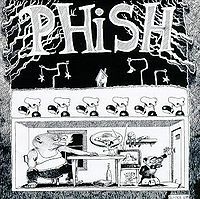 Great early Phish. Give it a whirl if you can find it. So the Reba is...yeah. It's a process. Ya Mar seems really amped up, and though for a bit I was worried about them losing control, it turns out pretty good. Lots of fun banter at this show, here about Ya Mar exhausting their repertoire of "pool songs." In YEM, here's another instance of what sounds like a blatant tease of something, but I don't have any idea what it might be. It's a good YEM, though. Dinner & A Movie is introduced as "Pre-Mating Ritual #1", is described as a Reggae number, and features someone yelling "Rastafari!" as the song starts. There's also a nice Weekapaug here. Oh, and one more quote from the show, from Fishman: "This is the sack-vac of Boulder. And I'm gonna do nasty things with it." Fun show, loose, chatty, good versions of Ya Mar, YEM and 'Paug. 3 Stars. Not a show I'd listen to again but it does have some cool elements to it. I like the Led Zeppelin teases throughout by Mike. I also like the good amount of banter that seems to be caused by inclement weather. It's one of those things that would be taken for granted considering the guys would talk less and less as time went on. The one thing about this show that I would consider a "Highlight" would be "If I Only Had A Brain". Yes, as silly as it sounds I really thing that will be the most memorable part of this show to me. It's especially funny hearing Fish singing it through the electrolux. I like how he slips "What are you looking at Paul?" quickly during one of his verses. Overall I'd say it's a fairly rough show. But the repetition of shows like this is what makes Phish a powerhouse in the later years so no real gripes here.